My name is John Reynolds. I am a resident of Paso Robles, a voter, and a taxpayer. Contrary to some comments on CalCoastNews, I am not a lawyer; but I believe I do have a good sense for the legality or ethicality of an action. The smell test works for me: if something doesn’t smell right, it probably isn’t. I also have no desire or intention of running for mayor or any other public office; there must be many other citizens of this city much more qualified than I.
I was surprised and a little shocked that the email I sent to City Manager James App and Mayor Duane Picanco, asking about the workers’ compensation claim filed by former Police Chief Lisa Solomon-Chitty, had the result that it did. If that email helped cause her to withdraw (or be asked to withdraw?) this claim – then great. I, as a citizen, was simply trying to get answers to questions that I believe any taxpaying resident of this city should have If she violated state workers’ compensation regulations concerning filing a fraudulent or non-validated claim, then she should be prosecuted to the full extent of the law. I am a follower of city government, have attended many council meetings, and have seen and heard many things that have upset me. The whole debacle relating to the Nacimiento water issue and new water treatment plant – is but one example. Paying for this since 2004 with added fees or substantially increased water usage rates and not getting to use this water until 2016 (at earliest) has no logical explanation. But the one that proverbially broke this camel’s back, was the way in which the mess associated with our ex-police chief was handled by our elected and appointed officials. No need to go into details – this has been done over the past several months – but for this city to spend thousands of taxpayer dollars for an investigation that was never “completed” (per Mr. App), to subject this city to huge monetary expenses for sexual harassment and wrongful traffic ticket quota lawsuits, to allow Solomon-Chitty to ‘retire’ with another $250,000 of our money, to not contest her workers’ compensation claim for mental and physical stress from ‘misleading’ accusations, and then to publicly heap praise and accolades on her for outstanding police officer credentials (including sound moral judgment and professional demeanor). This whole thing so failed the smell test, and begs for major changes in our elected and appointed city officials. What these changes are, and how soon they occur, is up to us, the citizens. There have been lots of comments on articles published in both CCN and The Tribune about the many issues facing this city. Hopefully, these comments are a true reflection of citizens’ anger and frustration with how this city being run. Some have been derogatory and some have been very insightful. But all the comments in the world pale in comparison to actions. A more informed and enlightened citizenry is mandatory to making changes happen. As long as the city manager and his obedient inner circle (i.e. city council) believe they can do whatever they want; tell us anything they want; use coercion, threats, or our money to keep things running along as always; and ‘sweep’ things under the carpet as it suits them; nothing will change. This city needs and deserves a mayor that does more than pass out commendations and proclamations. This city needs and deserves a city council that puts the citizens above all else and spends our money as if it were coming from their own pockets. And this city needs and deserves a city manager that publicly acknowledges that he/she serves the citizens, not the other way around. We currently have none of the above. There has to be enough people in this city that agree with some or all of this and will, thru individual and group actions, make these happen in the upcoming election. direction, is moot. Question: why cannot someone from CRPN2012 run for elected office? I don’t live in P.Robles so I’m out but I’m concerned about the way things have gone there. Scoopone, I am the Chair of CPRN2012. We cannot provide clear and defined endorsement of ANY candidate as per the California Fair Political Practices Act and our tax status. While we cannot, as an organization, support or endorse ANY candidate, we as individuals separate from our leadership in CPRN2012 certainly all do have our own very personal opinions. We encourage any and all like minded citizens of Paso Robles to come forward and declare their candidacy. We have provided a Candidate forum for open discussion between ALL candidates and the community. We have made the forum outside of our members area, so we can allow for ALL people to join in the conversation, not just our members. CPRN2012 does not endorse or support ANY candidates that may post on our Candidate Forum. Please visit CPRN2012.webs.com to get to our Candidate Forum. You don’t have to live in Paso to support our mission, to bring Change to Paso Robles Now! 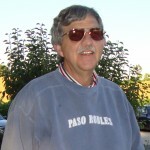 With all due respect to Sally Reynolds, Paso Robles City needs John Reynolds more than CPRN2012. Fortunately, John Reynolds lives in Paso, votes in Paso, AND is a member of CPRN2012. We are very please to have him in all respects. Don;t forget the skewed data on Paso crime that differed from what was submitted to DOJ? What about City employees buying back city vehicles? Paso needs a culture change in government. JB, you are right on saying we need a culture change. Jim App has been there so long we have a systemic problem in City hall. People ther for the most part think we work for them, and at Jim’s lead they laugh at the City council, openly. It’s sad really. Fred sticks up for Jim, Jim laughs at Fred. Jim really knows how to play Fred’s ego to Jim’s benefit. I’m not a PR citizen, but you appear to have the qualities I’d want in my Councilperson……honesty, sincerity, intelligence, fairness and the ability to distinguish what is in the best interest of the citizenry. I’m impressed with the caliber of people expressing these sentiments through organizing. Good luck! Yes, I am very proud of my husband John Reynolds AKA James Bailey. He is very well educated and would make an excellent council member for Paso Robles but you see, since we are both members of CPRN2012 he cannot run. CPRN2012 has much work to do and we need him to help our organization. Sally, Sally, Sally, John can drop out of CPRN2012 on August 1st. He can then announce his candidacy and file his paper work. Many people simply drop memberships that might be considered a conflict of interest when they run for office. The fact that they were affiliated in the past with an organization that represents their platform makes isn’t a problem, If anything, it just adds to the credibility and commitment of the candidate. NOW GO FOR IT JOHN. Cindy, we have noted all of our options and will keep you all informed who is coming forward to run at a future time. THANK YOU! What an excellent letter. Thank you for speaking out and acting out on behalf of our citizenry. I know it’s said here before, but please reconsider running for election. You are EXACTLY what this area needs. I am not a citizen of Paso Robles, but I applaud your efforts at clearing up an awful mess perpetrated by your self-serving politicians (redundant?). I admire your initiative and wish more people would be as concerned and as expressive as you are. Excellent letter, John. If I could give you 1000 thumbs up, I would. All I can do is thank you for your contribution towards shining the light of truth on the antics of Paso Robles city government. I agree. Well thought out and expressed opinions, Mr. Reynolds. It seems obvious all these issues you allude to are just going to be swept under the carpet and everything will just be business as usual. Not so Pasojim. We are working very hard to stop them from doing just that, business as usual is over. The spotlight is on and CPRN2012 has already begun to cause ripples that are making changes, and we have barely begun. We are organized to win. Well said, Rachel. High 5 ! Very well said, Mr. Reynolds, except for the part where you claim that there must be many other citizens of this city much more qualified than you to be on the City Council. Judging from this clear, concise and well-written letter, Mr. Reynolds, you seem FAR more qualified than any of our incumbents, especially the mayor. PLEASE re-consider running for council, Mr. Reynolds. I’d vote for you in a heartbeat!